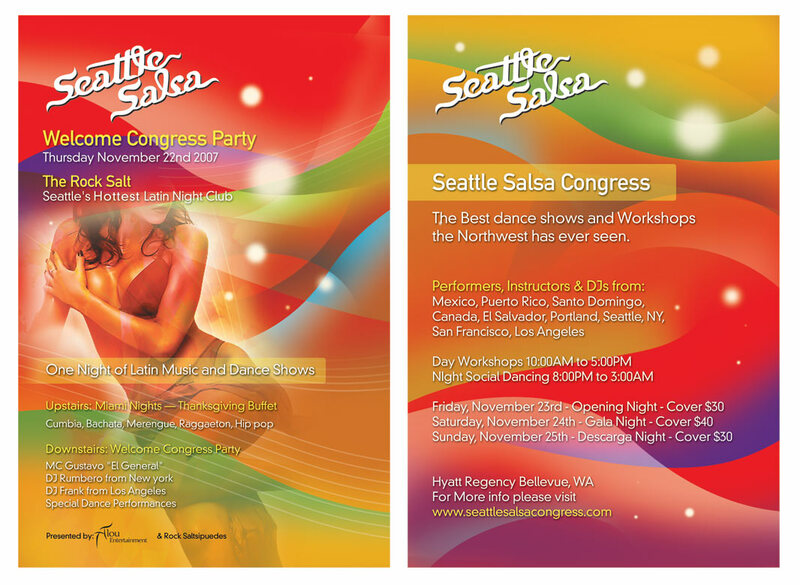 The Seattle Salsa Congress is the biggest salsa festival in Seattle. 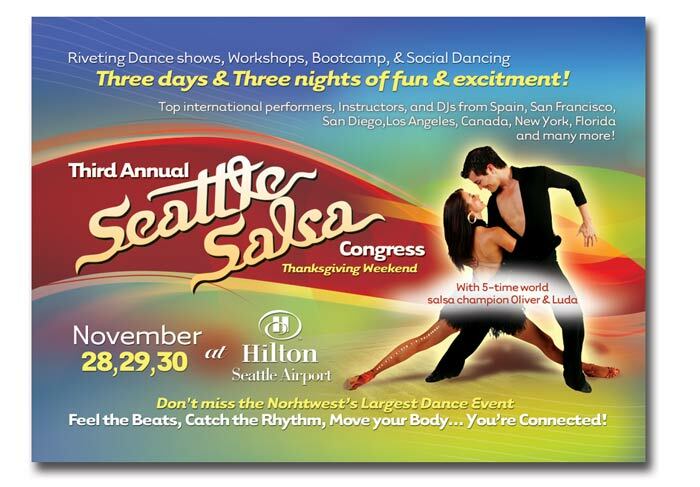 Performers come from all over the world to sing and dance, as well as give workshops for salsa dancing. Below is the DVD jacket and disc design. I was tasked with creating vivid imagery that could match up with the vibrant performers and their art. Using studio-shot photography I made custom graphics and layouts for the entire event. I used swirling element as a background piece, layering them with many colors to give the feel of dance and movement. This was transferred across all points of interest, from DVD menus to print designs. I also made a followup flyer to promote the congress a few days before.